Browsing and checking your crypto wallet might be easier once you install Opera Reborn 3. 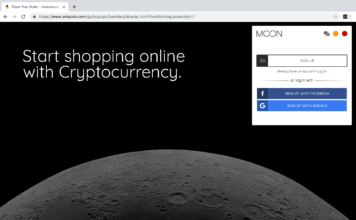 The latest version of the browser incorporates all the latest technologies you need to keep your digital world under control: Web 3, free VPN and a crypto wallet. With this latest release, Opera attempts to win the browsers race, currently led by Google Chrome, Mozilla Firefox and Microsoft Edge. Thus, the Sweden-based team of developers behind Opera want to give users total control over their digital life. The Web has transformed our lives. We are now continuously online. But the more time we spend online, the more we need tools that help us control the security and privacy of our digital lives. He also added: Blockchain technology has evolved from just storing funds or speculation into a technology which will shape the Internet of tomorrow. We decided to speed up the development of Web 3 by opening all our browsers across all operating systems to it. This makes Opera the first major browser developer to do so. One of the new features of Opera Reborn 3 is access to Web 3 addresses. As the company explains, Web 3 is an umbrella term for a set of emerging technologies intersecting cryptocurrencies, blockchains and distributed systems that, together, extend the capabilities of the Web we all use today in important and meaningful ways. But what exactly does Web 3 do? For instance, users can securely sign transactions and confirm their identity on various websites. Compared with traditional internet tools, the blockchain Web 3 service does not share too much personal information with these websites and transaction operators. While free VPN is not a new feature for Opera browser, Reborn 3 promises faster speed and improved privacy. But it is worth noting that, so far, Opera is the only internet browser that offers a built-in free VPN service. For the new version of the browser, the Opera team added security layers that create an encrypted tunnel that denies third party access to user data. Thus, when accessing free WiFi networks, users can safely browse websites and even make transactions in complete safety. Also, the Opera Reborn 3 VPN serviced does not log and keep any kind of browsing data, in order to improve privacy. However, the most innovative feature you can find in Opera Reborn 3 is a native crypto wallet. 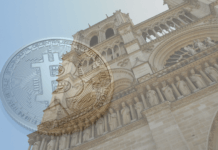 It is very easy to enable the Opera crypto wallet on the desktop version. Once you install the browser, go to the Easy Setup button at the top right side of the browser window. The crypto wallet is in the Features category. Just move the slider from left to right, and it is enabled. You will see it on the left side bar, among other useful shortcuts, such as: Messenger, WhatsApp, and Instant Search. 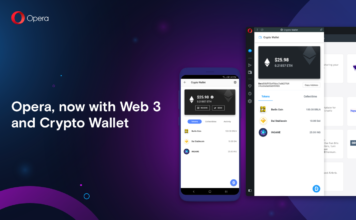 However, in order to activate the crypto wallet, you must also install Opera Reborn for Android. Next, you have to scan the QR code on the desktop browser with the phone. This is the entire set-up process. You can use the crypto wallet both on the phone and on the computer. The browser with built-in crypto wallet is available for the following computer operating systems: Windows, macOS and Linux. At this moment, the mobile browser is only available for Android phones. You can download it here.